Dr. Yu Chen-Tung graduated from National Yang-Ming Medical College of Taipei, Taiwan. He has conducted research and graduated from the Institute of Medical Science, China Medical University, Taichung, Taiwan. Dr. Yu completed his residency at the Orthopedic Department of the Veteran General Hospital of Taipei, and served as attending surgeon at Fonglin Veteran Hospital,Hualien, Taiwan. Dr. Yu then conducted a knee replacement study at the Beth Israel Medical Center in New York, and a hip reconstruc- tion study at Clinique d’Argonay in France. Dr. Yu was also an Assistant Professor at the Institute of Mechanic and Automatic Engineering in Da-Yeh University of Changhua, Taiwan, and the Clinical Professor of Chang-Jung Christian University of Tainan, Taiwan. He also served as Deputy Secretary General and Supervisor of the Taiwan Osteoporosis Association. Dr. Yu has more than 20 years of research and clinical practice in the Department of Orthopedics. 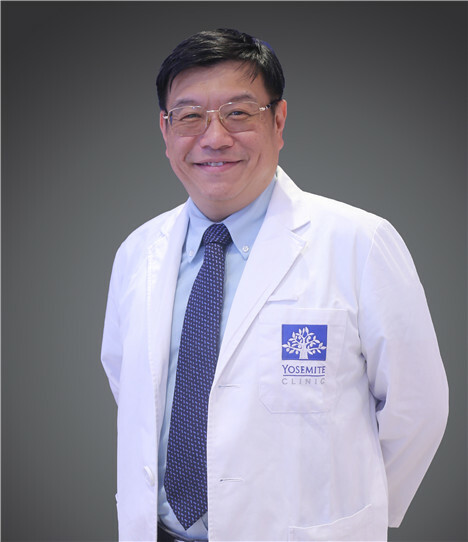 In addition to specializing in integrated orthopedic diseases, Dr. Yu is especially practiced in knee and hip surgery, treatment and prevention of osteoporosis, and the treatment of early knee necrosis, as well as pain management.